Goodreads: Twenty-five year old Ivy Rowan rises from her bed after being struck by the flu, only to discover the world has been torn apart in just a few short days. Kritters Thoughts: Ivy Rowan runs from home after she finds out that her brother and father have murdered someone. Ivy runs to an old classmate's widow's home and along the way encounters an interesting set of characters. This book is one of those that has quite the interesting twist and it definitely added to the book and if I had enjoyed it more, it would be one of those to reread to see if I could have caught the clues faster. As I said before I love historical fiction and I loved reading the thoughts of Americans and how they were treating their German neighbors at this time; interesting to see friendly neighbors turn into enemies. 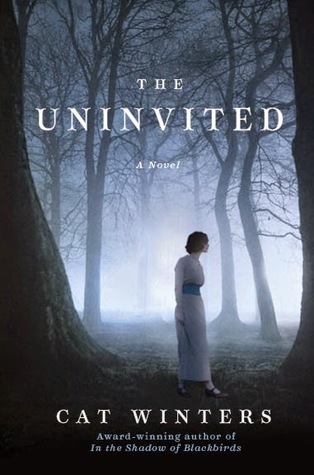 A combination of ghost story and historical fiction and it was a little out of my comfort zone. I love historical fiction and don't always read the ghost stories, so I thought I would give this one a try. End result - interesting, but not sure I would recommend to those who don't love a good ghost story. As long as a ghost story isn't too scary, I can enjoy it. I think I'll give this one a try!